Samuel was born at a small village called Simdihai, Chin State. Righer after his conversion, the Lord called him and was eventually sent by a local church as an evangelist . He served His own people by proclaiming the word of God for years. Joshua T.C Lian has been actively engaged in our activities. He is gifted in both preaching and teaching. He has accompanied Philip in mission trip as well. He is married and has three children and live in Yangon. He also teaches at different Bible colleges in Myanmar. John Lain Be had done his theological training at Grace Theological College in Yangon and had earned B.Th. He has two children and it's been through his leadership that AIMTODAY has been able to reach the many people in his area. Together with his wife and children, they live in Kyaut Taw, the second capital city of Rakhine State. He loves his people so much that he will do whatever he can if his people are just to know the Lord. AIMTODAY thanks the Lord for his life and commitment to his people. 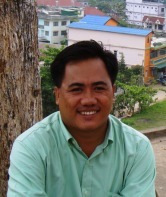 S.K Lian is an assistant pastor of Yangon Grace Bible Fellowship. He is also a warden at Yangon Grace Bible School. He married to "Parte" and has three children, Esther, Gracie and Joseph. Together they live now in Yangon. He is full of kindess and has been the main character whereever he goes. His life is such a loving life. He is that kind of man who is committed to doing whatever he can to help others. He has been such an example in serving other people and has that ability to just rejoice when other rejoices. Andrew has been sent by our church since 2007 and has planted a church in his native village in 2008. He is married. They are expecting their first child. He helps us by coordinating meeting for pastors in the remote area and he is actively involved in outreach and planting churches. He also pastors the church God started in his native village and leads the people to outreach. Timothy and Phoebe serve as our key leaders in Shan State. They have been married for four years and have one growing boy. Timothy was ordained as pastor of Grace Bible Fellowship at Bethel village. His wife studies at Yangon Grace Bible School and will finish this year. Their desire is to see their people ( LAHU ) coming to the point that they would hunger for God's word. They love their people and AIMTDOAY thanks the Lord for their life. Amos serves the Lord as financial manager at Yangon Grace Bible School. He is still single and yet so committed to pursuing God's call in his life. He is so kind and he is best known because of his kindness and honesty. We are so privileged to have his participation in the ministry. Salaing graduated from BST in 2008 and has been going here and there to just proclaim the Gospel of Jesus Christ. He lives in Mindat and travel to remote areas to bring the light of the Gospel of Jesus Christ.